a real-time video performance system. video content for each performance is recorded using tiny cameras. the footage is edited into short loops of digital artifacts, distorted light, and abstracted motion. during each performance video is layered and manipulated, in real-time using max msp/jitter and a midi controller. 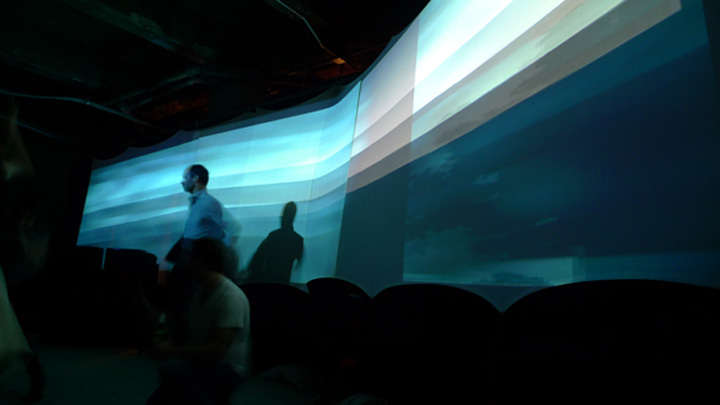 the resulting video mix is then projected into space and onto a screen.